What are CloudExtend Excel for Salesforce templates and how do you build them? What are CloudExtend Excel for Salesforce templates, how do you build them + helpful template building tips. Templates are used by CloudExtend Excel to map data between Excel and Salesforce. When a template is loaded on a Worksheet, it becomes an Excel table and is bound to a Salesforce object. Each column in the table is bounded to a Salesforce field. 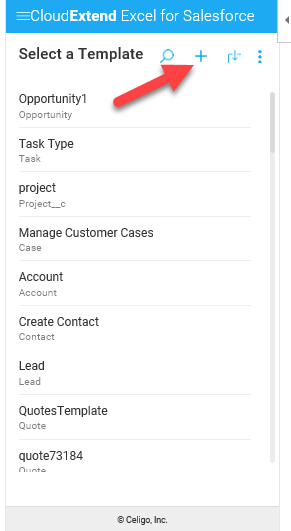 Once your table is loaded the action icons (Download, Update, Refresh, Delete) will become active and can be used to retrieve and/or update data from Salesforce, as well as create new records in Salesforce. Step 1: Click on the + sign to create a new template. Step 2: Type or scroll to select the Salesforce object the template will be associated with. Step 3: Select your object. In this example below, I chose Opportunity. 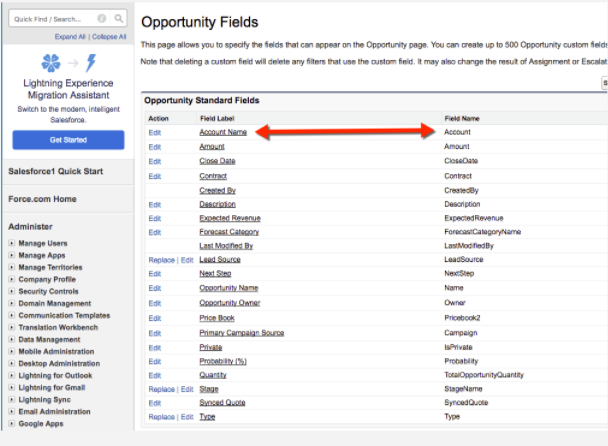 Step 4: Type ahead and search for the fields you want to have in your template. Scroll down for more fields. To remove a field hover over it and click on the 'Trash Can Icon' that appears to the right. When you’re done adding your fields, hit next. 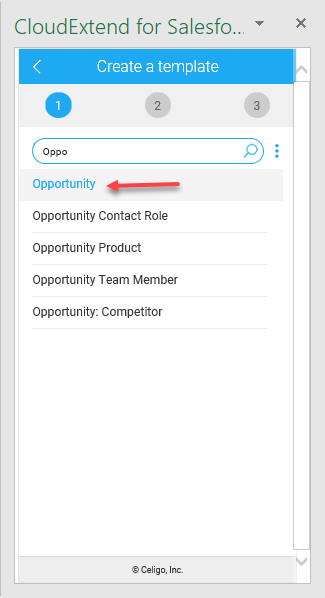 TIP: You can also reorder the fields by clicking on a field and moving it to the new desired position. Step 5: Give your template a name and save it. Use Save & Load to start using it right away. Step 6: You can load your template by clicking on it in the list of templates. You will be warned that loading a table will clear the sheet . Click ‘confirm’ to load the template on the sheet. Row 1 is used to hold the mapping data from Excel to Salesforce. Pro users can edit these values and even insert columns on the fly and associate them with Salesforce fields without going back to the Template Editor. 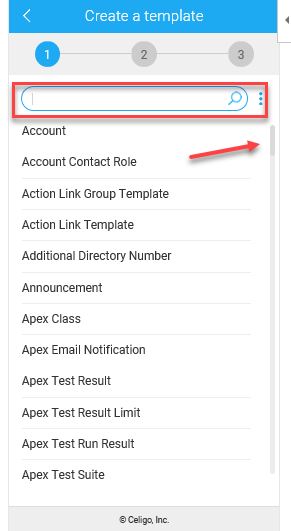 Salesforce field labels - You can see below the Field label is called ‘Account Name’ but the Field Name is just ‘Account’. ‘Account’ is what you would select in CloudExtend Excel.